Today, we’ll be taking an inside look at the creation of Universal Studios Florida, and what it took for Universal to challenge Disney on both coasts. Be sure to read Jerry Green’s book to learn more about this and other stories from the park! Well, if the question is asked regarding opening day for Universal Studios Florida, the answer is … A LOT can go wrong! Or, maybe it just seemed like a lot. But the reality was, just getting to the starting gate to build a studio in the Sunshine State was a monumental challenge. Lew Wasserman, CEO of MCA (parent company of Universal), and Sid Sheinberg, president, wanted Jay Stein, the president of our division, to find a company to partner with on the project. Their logic was, if it’s such a great idea then it should be easy to find someone to share the cost. Jay went looking. One of the potential partners was Paramount Pictures. 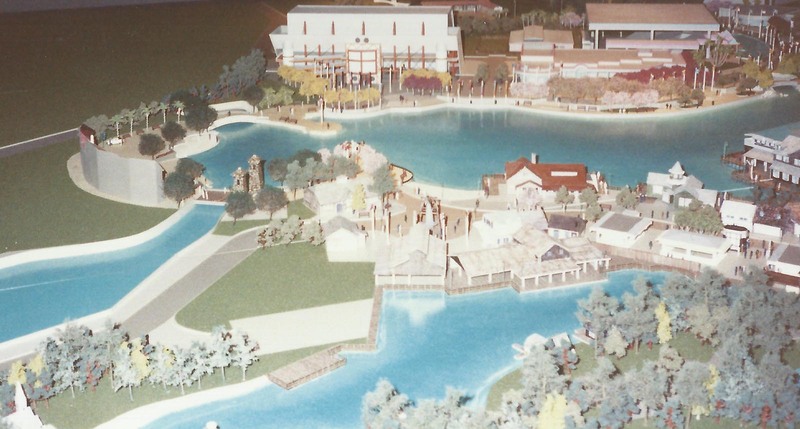 In July, 1981, Jay went to meet with the president of Paramount and share the grand vision that might one day become Universal Studios Florida. Guess who was running the show at Paramount at the time? Hmmm…wait for it…yes, it was Michael Eisner. This is where the story takes a dramatic turn because the partnership between Universal and Paramount failed to materialize but Eisner moved from Paramount to…drum roll…Disney! I believe this was the precursor to the war that would soon develop and reshape the theme park industry forever. So Universal’s plans, years in development, had been shared with someone who was now at the helm of our biggest competitor. Designs for major rides and shows, more sophisticated than anything ever attempted, were out. Eisner, hoping to discourage the Universal team from proceeding and taking a share of his market, put everything on fast track to develop a studio of their own in Orlando. On May 1, 1989, Disney-MGM opened its doors. Jay Stein felt betrayed … and ticked! A variation of the old saying fits this scenario … “Hell hath no fury like Jay Stein scorned.” After reading an article in Orlando Magazine, where the Disney-MGM Studio vision was laid out, Jay was convinced Eisner had stolen his ideas. To confirm his claims, Jay commissioned an independent analysis to compare Universal’s original drawings and show concepts with Disney’s. The general consensus, from those bold enough to assert their findings, backed Jay’s claim. Okay, the game plan had been compromised, so what to do? Regroup, come up with new ideas, and move full-steam ahead. Everything went into hyper-drive and the end result was that Jay and the Universal team came up with a ‘better mouse-trap’, no pun intended. Well, maybe it was intended. But in reality, I think the confrontation and ‘borrowing’ of Universal’s original ideas, caused us to reach higher, strive harder, and develop beyond the original designs. Terry Winnick, a dear friend and VP, working on several projects at Universal Studios Florida, asked me to transition from hosting shows at the studio in Hollywood and come work with him in Orlando. He had been assigned more projects than one person could possibly handle. Building the studio from the ground up was a massive endeavor, and Terry was one of several vice presidents/project managers assigned to the Florida project. I was given the tasks of writing the narration for the guided tour, recruiting and training thirty people how to host a revised version of the Screen Test Show, writing queue line entertainment for the E.T. Ride, and consulting on the lagoon show. After months and years of intense labor, on June 7, 1990, Universal Studios Florida opened with twelve major attractions. That was double the number Disney-MGM had opening day. 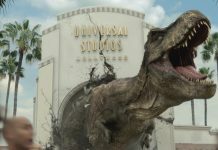 And in surveys conducted by an independent company, eighty percent of those questioned said they enjoyed Universal Studios Florida more than Disney-MGM. It was and is an incredible theme park. To describe opening day ceremonies for Universal Studios Florida as GARGANTUAN would be an understatement. The gathering of celebrities was staggering. US Airlines provided a 737 to transport guest stars like, Jimmy Stewart, Ernest Borgnine, Anthony Perkins, Sylvester Stallone, and Charlton Heston. And for those who would never think of sharing a plane with others, fifteen private jets were chartered. Did we have challenges opening day? You bet! Lots of them. Three of our five anchor rides had issues – Jaws, Earthquake, and Kongfrontation. But remember, we were pushing the limits of technology – “Going where no man had gone before.” After opening day glitches, we made adjustments, improvements, and took giant leaps forward. Not only did we recover, but in our first year we out performed Disney-MGM Studio, welcoming more than six million visitors. 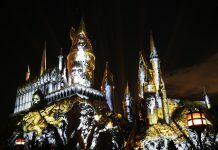 Over the years since that extraordinary first day, the studio has continued to evolve with innovative attractions, none more spectacular than The Wizarding World of Harry Potter. That ‘experience’ has set the standard for theme park rides that is yet to be equaled. As I say in my new book, “25 Years Inside Universal Studios”, Jay Stein and Ron Bension led a team of dedicated professionals who refused to let any obstacle stand in the way of success. Universal Studios Florida had arrived!